Make your kitchen the heart of your home with Dream Doors Norfolk. Speak to our designers and view our stunning collection at your local kitchen showroom in Norwich. Discover your perfect kitchen at Dream Doors Norfolk where Philip and Helen are waiting to help you create your ideal design. Our showroom in Norwich is full of kitchen designs to spark your inspiration with our experts on hand to help. The Dream Doors Norfolk showroom, which also services Great Yarmouth and the surrounding area, is a local family run business. Owners Philip and Helen have lots of experience in creating dream kitchen spaces that have the ‘wow’ factor. As your local kitchen design and installation company, they can discuss all your options in order to find a style that works in your home. All Dream Doors kitchens are designed for the individual, so whether you want a classic or traditional look, or you prefer a contemporary or modern style, we can help. At our Norwich showroom, you will find matt, gloss and woodgrain finishes, as well as a large selection of colours on offer. Our kitchen designers can come to you. Show them your kitchen space and they will provide you with a free, no obligation quote. 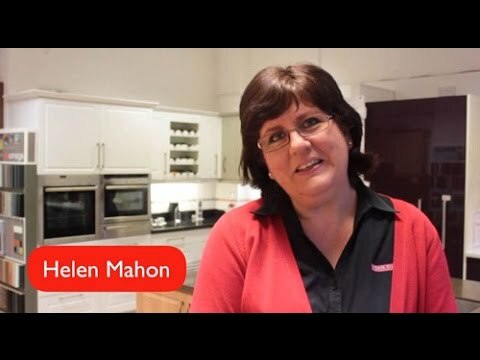 Sharing your ideas with Philip and Helen will help them develop a functional kitchen that you love and is fully customised to meet your tastes. Dream Doors Norfolk offers replacement kitchen doors, fitted kitchens and kitchen services in Norwich and all surrounding NR postcode towns, such as Bixley, Brundall, Rockland St Mary, Hellesdon, Costessey, Hethersett, Wymondham, Dereham, Ringland, Reepham, Aylsham, Coltishall, Scottow, Stalham, Acle, Hales, Bedingham, Long Stratton, Attleborough, North Elmham, North, Walsham, Bungay, Beccles, Belton, Blofield, Brooke, Bunwell, Buxton, Carlton Colville, Claxton, Cringleford, Cromer, Drayton, Fakenham, Gorleston, Gt Yarmouth, Hempnall, Hethersett, Hingham, Holt, Horsford, Loddon, Lowestoft, Martham, Mattishall, Mulbarton, Mundesley, New Buckingham, Newton Flotman, Old Catton, Poringland, Reedham, Salhouse, Sheringham, Spixworth, Sprowston, Stoke Holy Cross, Swaffham, Swanton Morley, Taverham, Thorpe St Andrew, Wroxham and all local Norfolk areas. "Excellently organised from beginning to end, high quality materials. Excellent fitter, very friendly and courteous workers, very satisfied." "Friendly service - excellent work without mess, reasonable prices. All round faultless - highly recommended." "From start to finish Dream Doors provided a faultless service. I was impressed and I don't impress easily - superb." "Just had our new kitchen fitted by Dream Doors Norwich, and are more than satisfied with the end result. Can’t fault the service from start to finish."